Home General News The future is NOW: MATRIX PowerWatch runs on body heat! The future is NOW: MATRIX PowerWatch runs on body heat! I’ve been a daily watch wearer for over 30 years now, and one thing I’ve always wished for has been a watch that never needs a new battery (or a recharge, in the case of today’s smartwatches). The clever folks at Matrix Industries, Inc. may have finally made that dream a reality. Their MATRIX PowerWatch is the world’s first smartwatch that is powered by your body heat. How awesome is that? Not only that, its thermoelectric technology also measures accurate calories burned, activity level (step tracker), and sleep quality—and you won’t have to take it off to charge it overnight. It even has a power meter to display how much electrical power you are generating, which increases with activity output level. A PowerWatch App for iOS and Android acts as a data interface with your smartphone. 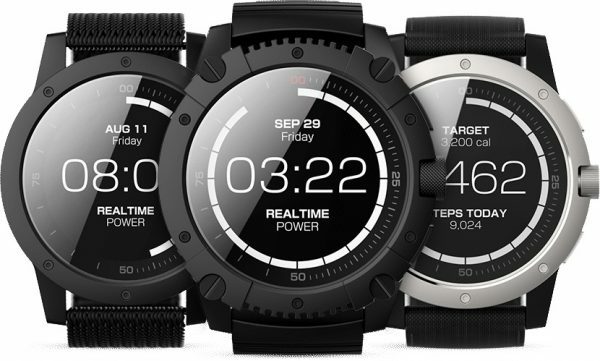 Currently, there are three PowerWatch products: silver standard version for $199.00, all-black Black Ops version for $239.00, and the PowerWatch X version (with notifications, 200m water resistance and other added features) for $279.00. Visit MATRIX PowerWatch for more info or to order.